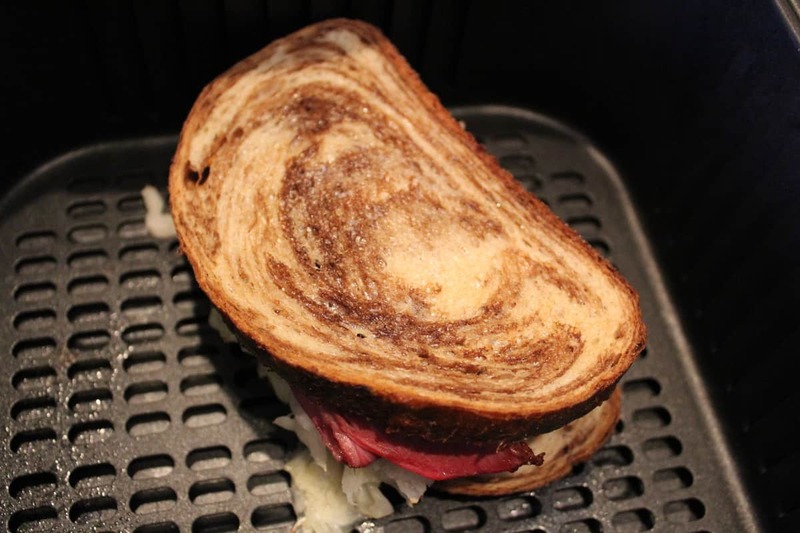 Today, I am showing you a basic recipe for making a Reuben sandwich in the Air Fryer. 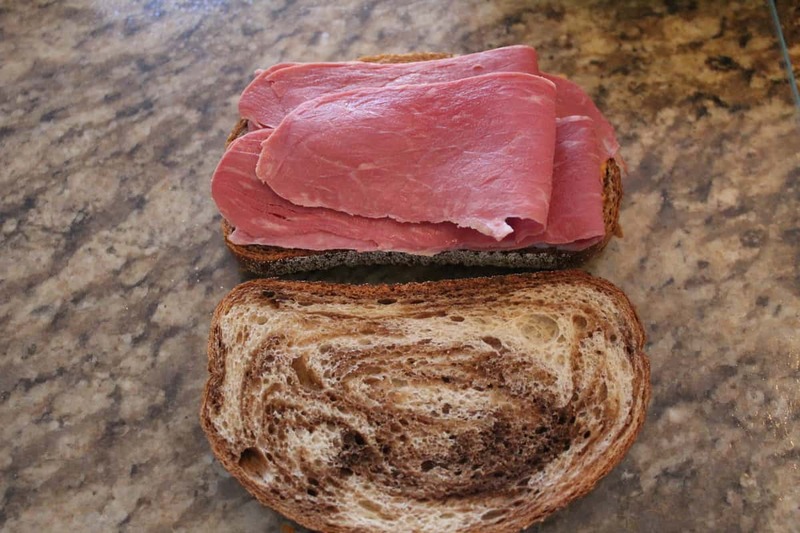 Start by spreading the Russian dressing on 1 piece of bread (or do all 4 at once). 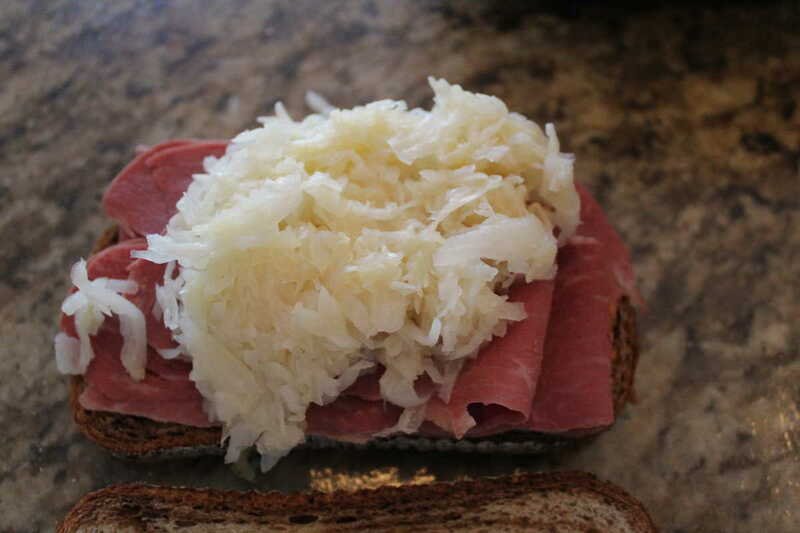 Then place the corned beef on top, and then place the drained sauerkraut on top, then top it off with a piece of Swiss cheese. 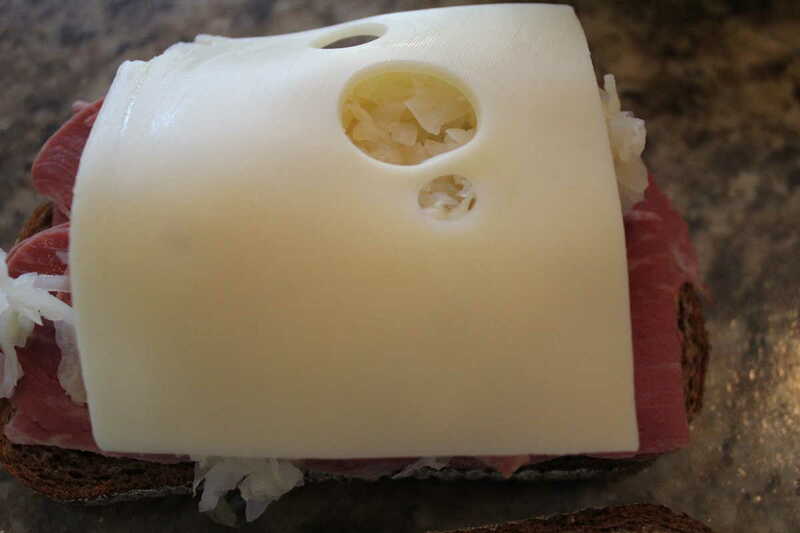 Then add the top piece. 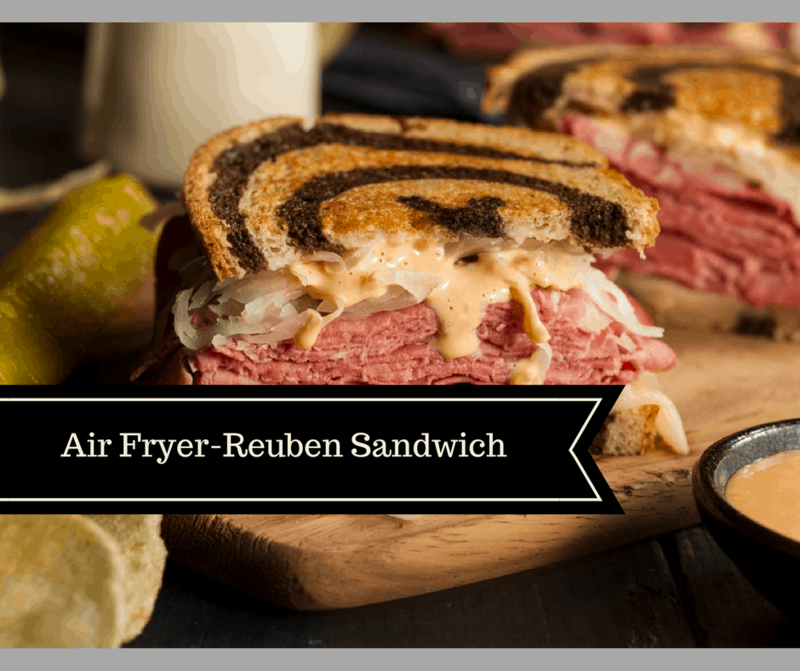 Place the sandwich in the air fryer and spray the tops with non-stick cooking spray. 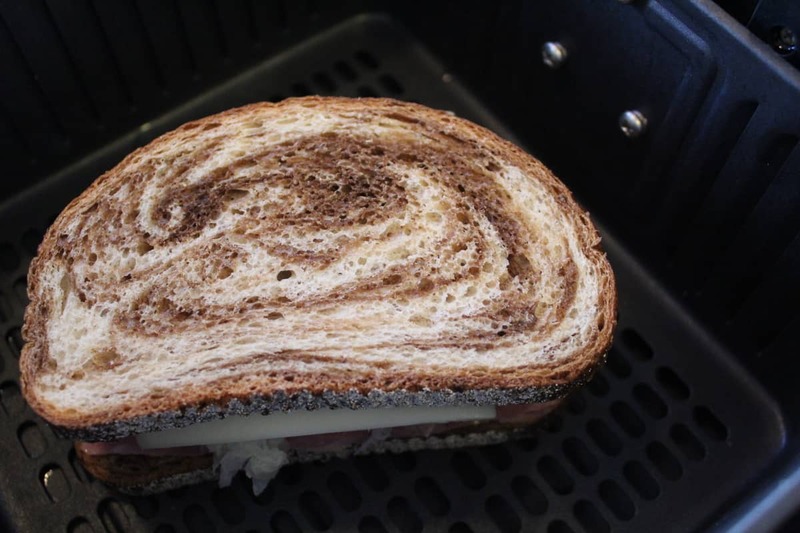 Air fryer your sandwich for 4 minutes at 390 degrees, and then when it's up flip it, spay it with non-stick cooking spray and do another 3-4 minutes.